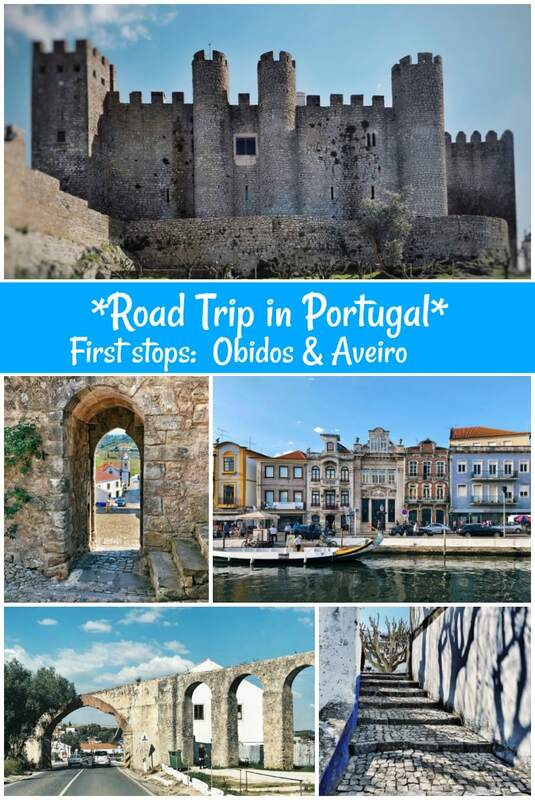 For my next adventure, I’m sharing my Road Trip in Portugal: Óbidos and Aveiro. Portugal is a country that I have talked about visiting for a long time. I have some interesting family roots there. My Mom and Aunt visited Portugal about 20 years ago, and did a lot of research on our extended family. They had been encouraging me, my sister and cousins to plan a trip, and we finally did. We traveled to Portugal at the very end of March. It was a good time of year to do so– very few tourists were in most of the places we visited, and the weather was perfect. 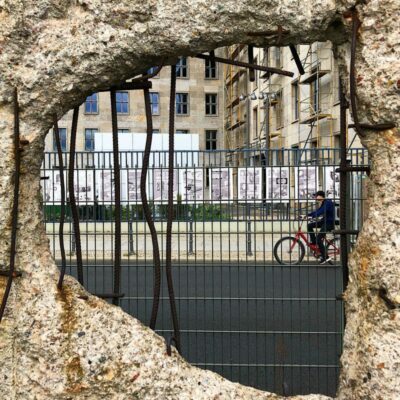 Many of the photos shared here were taken by my cousin Paula, who shares her travel experiences on her Instagram account: Sweet Spot Travels. We had about 10 days, and we wanted to see as much of Portugal as we could. So we flew in to Lisbon, rented a car and traveled to each of the “red dot” cities that you see on the map above. I found the Lisbon airport to be pretty easy. Customs was a breeze, and I didn’t check a bag so there was no waiting for that. My cousin arrived on a Saturday morning though… and it took her two hours to get through customs. So maybe weekend arrivals are not the best at the airport. The car rental scenario was equally pretty seamless. We chose to rent from Budget (an American company), thinking that if anything went wrong that maybe it would be easier to resolve. There were four of us traveling together, and we had quite a bit of luggage. It was the best price to rent a giant Mercedes van than it would have been to rent a smaller SUV. By “giant,” I mean that the van was much larger than typical passenger vans, and it easily sat eight people and had plenty of room in the back for luggage. It was definitely hard to maneuver though, and it was not easy to park. Use Google Maps: The GPS on the van was difficult to understand, so I acted as the Navigator, and I used Google Maps on my phone to help us find our way around Portugal. The roads are fairly easy to understand if you have one person doing the navigation who is telling the driver where to go! Know What Kind of Gas Your Car Needs: Make sure you know what kind of gas you’ll need to put in your rental before you leave the airport! Our van needed Diesel, but it took a long time to figure that out after a limited-English conversation with some people at the gas station. Carry a (charged) Portable Charger: The most important tip is to make sure you are carrying a portable charger. The rental car had a charger you could plug into to charge your dying phone. But it was very helpful having a portable charger too when walking around towns. Google Maps eats up a LOT of your battery, and you don’t want to be left with a dead phone when you’re not sure where you are! Alternate methods of transport: If you don’t have a rental car, you can take the metro (directly from the airport) into central Lisbon for 1.40 euros. Alternately, you can take a taxi from the aiport– go to the departures area and flag down a taxi that has just dropped someone off, rather than waiting to get a taxi from the queue. Uber is also easy to use in Lisbon. Both Uber and taxi should be about 15 euro into downtown Lisbon. 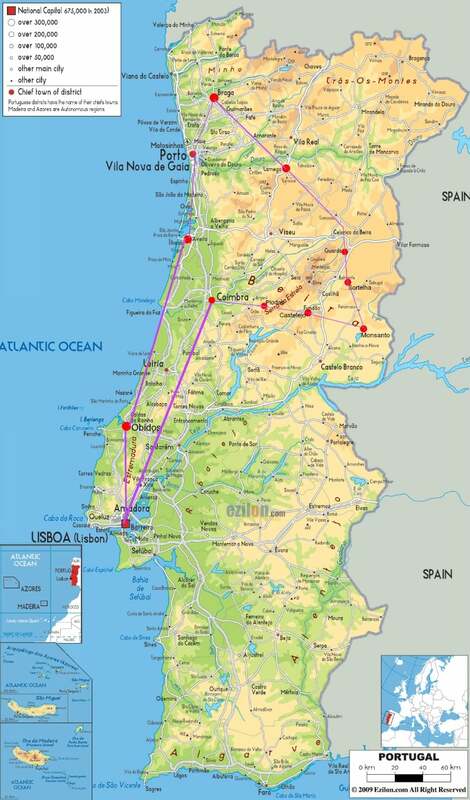 My cousin Paula’s husband Jim is an avid traveler, and he helped create our itinerary for our trip to Portugal. He researched and kept several things in mind: interesting historical sites to see, small towns that might be super cool to visit, and towns that we might want to check out because we had family roots there. My sister and I arrived in Lisbon early Sunday morning. 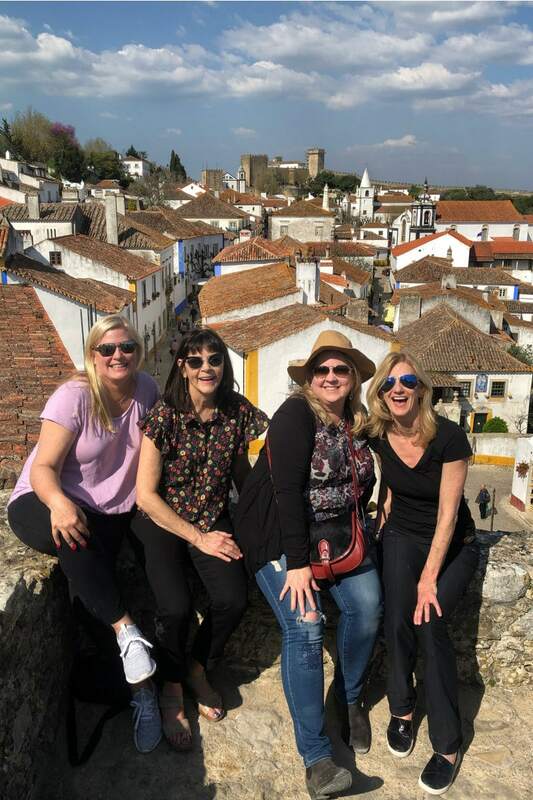 Our two cousins were already there, so they picked us up and we drove immediately to the 700-year old medieval village of Óbidos, Portugal (an hour or so drive from Lisbon). 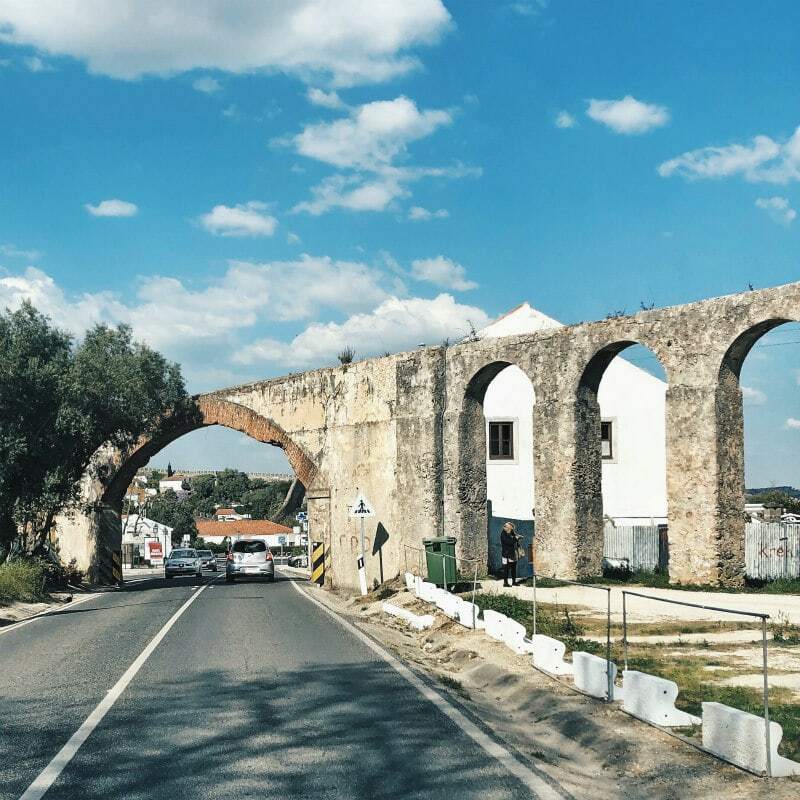 You need a car to reach Óbidos since public transportation to this spot is sparse. This is a photo of the main entrance to the town. Our first mission was to find a place to have lunch. We randomly chose Ja!mon Ja!mon, and it was lovely. 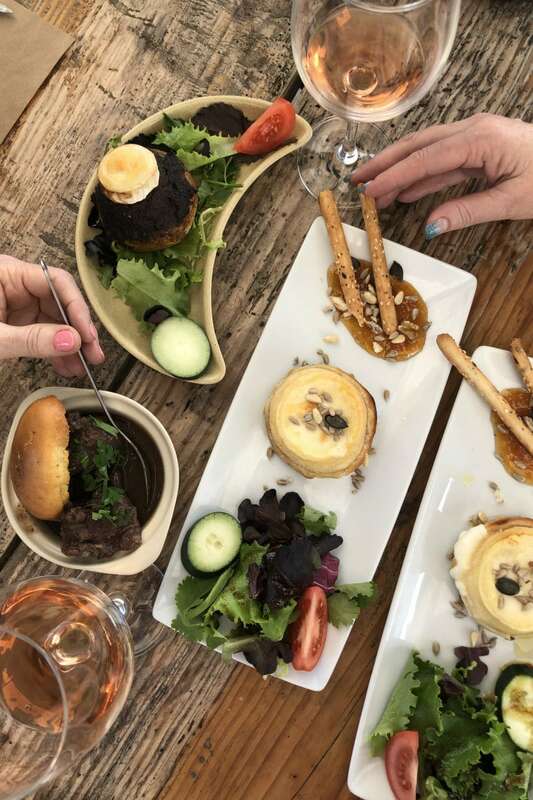 We feasted on cheeses, stuffed mushrooms, pork cheeks and a couple of other goods, along with a bottle of Rosé. You will almost always be served bread, butter and a bowl of olives as you sit down at your table. These are actually “optional” items that you will be charged for (you’ll see them on the menu for a small price). If you don’t want these items, you need to tell them to take them away or you’ll be charged. 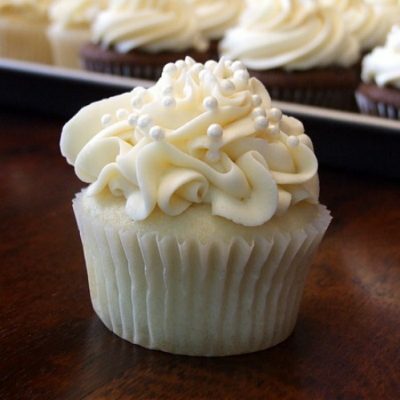 We always opted to have them, but sometimes maybe you don’t want them! 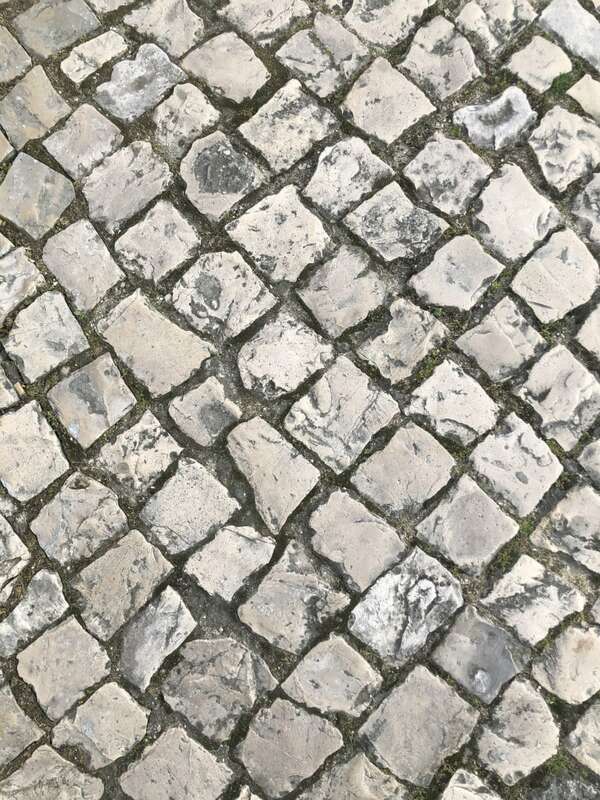 This is what a lot of the streets look like in Portugal. The major roads are made of asphalt, but a lot of the streets and sidewalks you’ll be walking on are made of small (sometimes slippery) tiles like this. This is important to note because you should be bringing the right shoes for walking around Portugal. 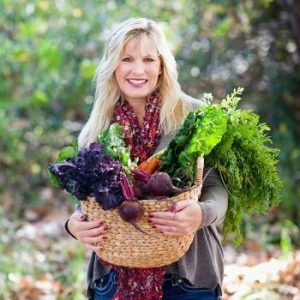 Leave the high-heels and cute wedge sandals at home, and bring rubber-soled, comfortable shoes or sandals that don’t tend to be slippery. 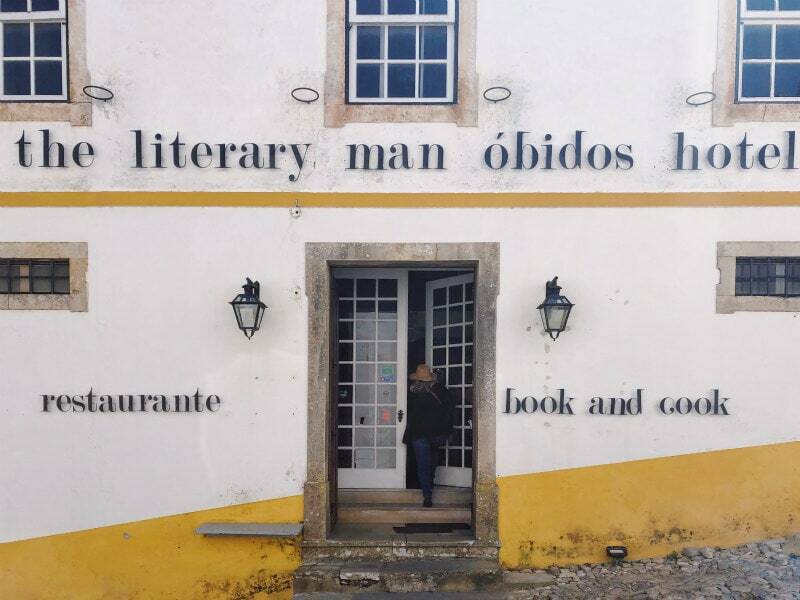 The Literary Man Óbidos Hotel is a popular spot. We tried to have lunch here, but they were closed on the day we were there (Sunday). That was a bummer since we heard it was a fantastic place to eat. It’s located right in the middle of town. 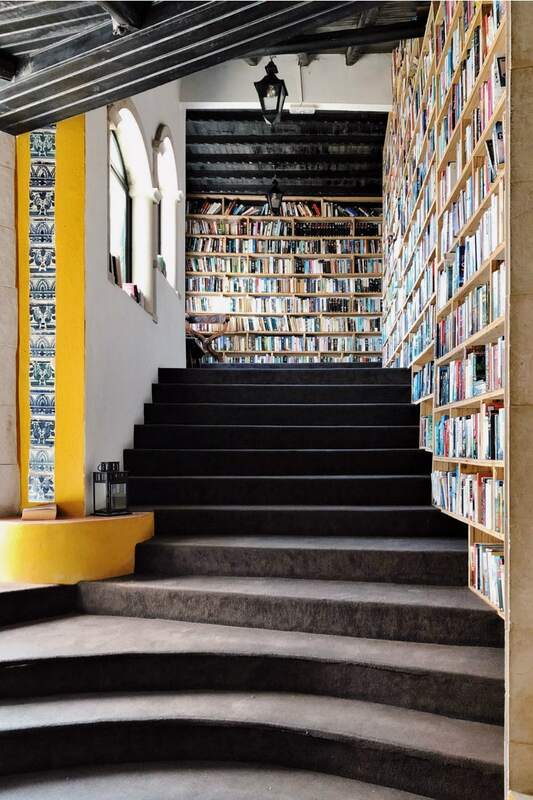 This boutique hotel has over 45,000 books lining the walls of the hotel. It’s a book-lovers dream! In the cocktail lounge and restaurant, every cocktail is named after a literary legend. Plop yourself in one of the cushy leather chairs, grab a book, order a cocktail and relax! Next it was time for exploring. 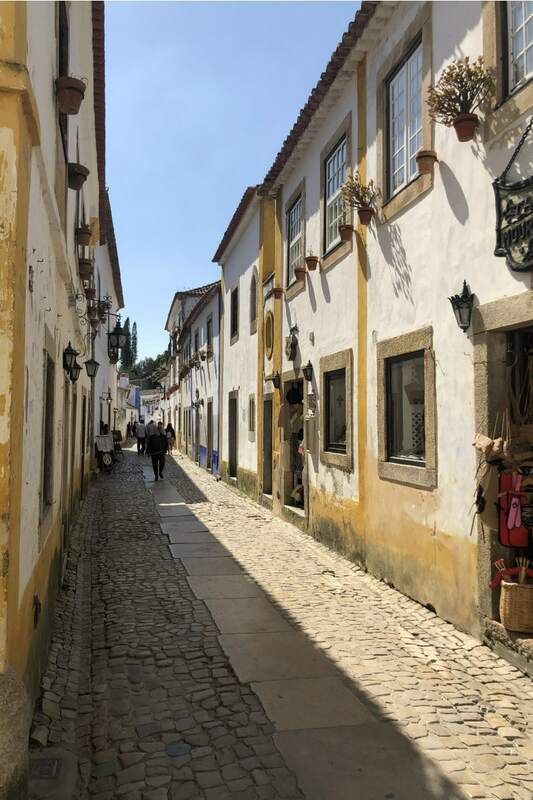 Óbidos is full of narrow, hilly alleyways (and cars manage to drive up and down all of them!) It’s awfully fun to look around because everything you’re looking at is not likely anything you’ve seen before. 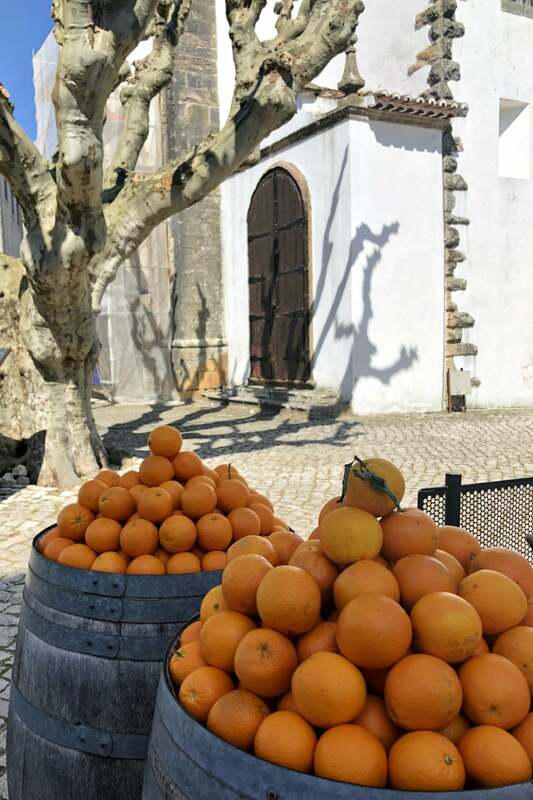 There are craggly trees, branches growing on village walls, colorful storefronts, tiled streets, plenty of small restaurants and drinking establishments, a medieval castle, and views across the valley to vineyards below. It’s a village worth exploring. 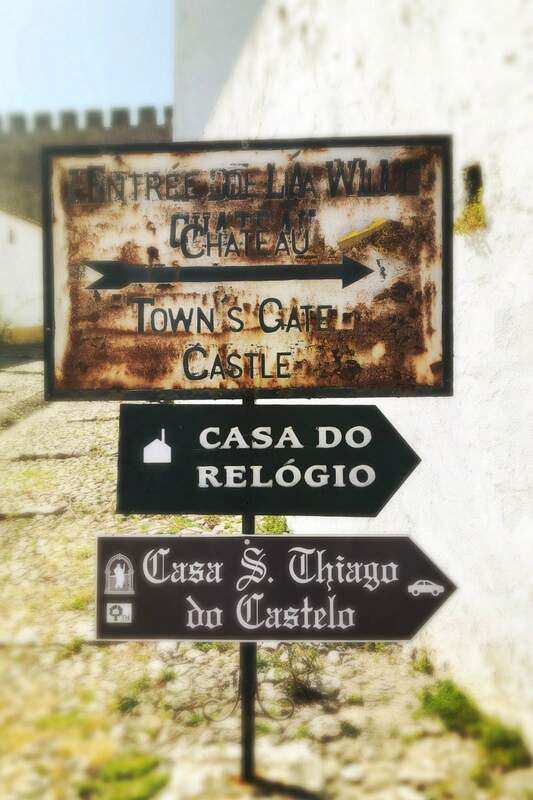 One of the main attractions in Óbidos is the castle. 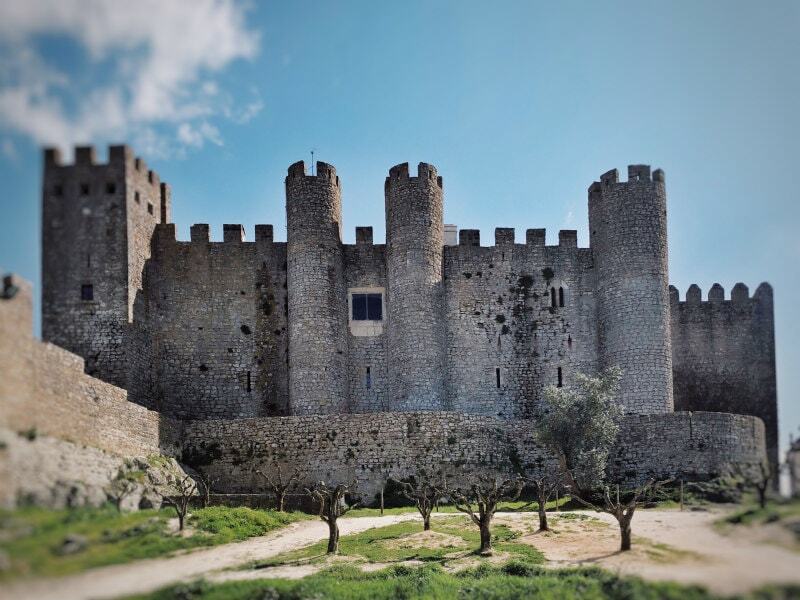 It’s one of Portugal’s greatest medieval castles. In 1148, Dom Afonso Henríques and his troops (legend has it they were disguised as cherry trees) captured the castle from the Moors. The Moors were forced to leave, and Henríques went on to become the founding father of Portugal. He was proclaimed its first king. The castle is a pretty cool property to walk around. 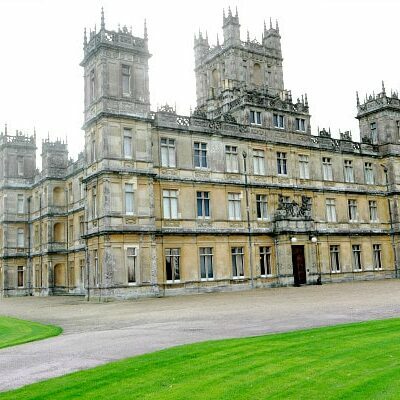 There are steep stone steps without a railing leading up to the top, so you must be careful! The views from the top of the castle are gorgeous- looking down on the valley below. 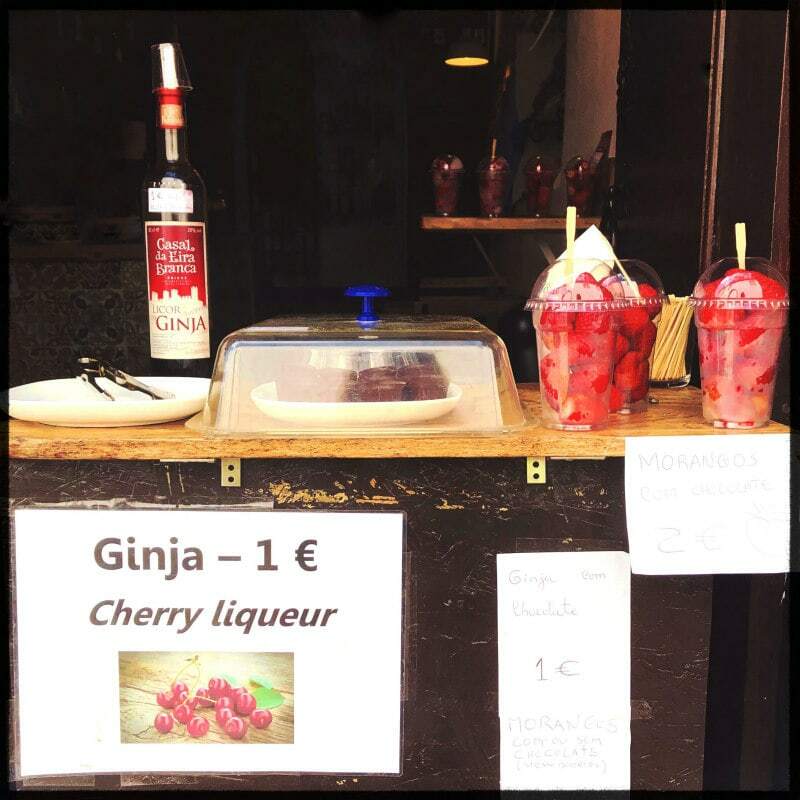 Ginjinha (ginja) is a Portuguese liqueur that is made by infusing ginja (sour cherry) berries in alcohol and adding sugar. It’s served in a shot glass with a piece of the fruit in the bottom of the cup. YES, I tried it, of course! I wouldn’t say that I loved it or anything, but I do enjoy trying what is popular with the locals. 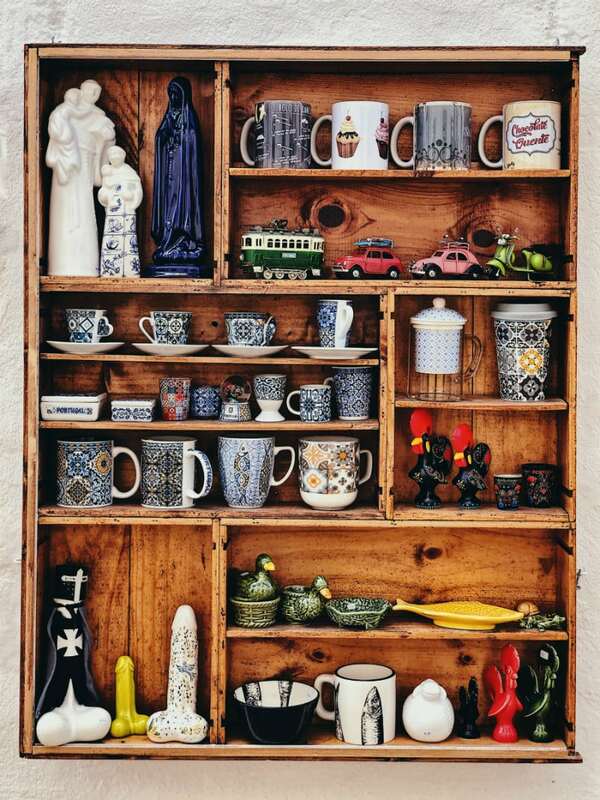 You’ll find ceramics of ALL KINDS all over Portugal. Please note the cubby in the lower left. Ha! I love all of the color that people add to their homes. 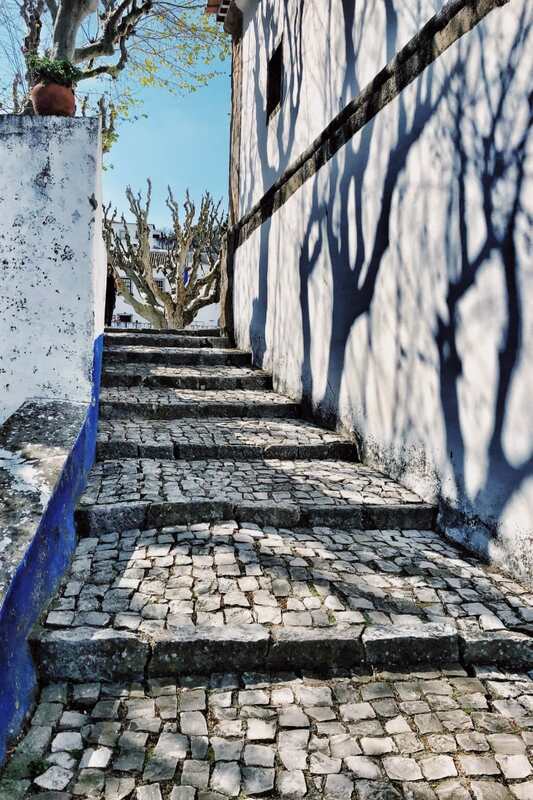 The streets and steps in Óbidos are not so easy on your feet (you can kind of see that in this photo). But walk with caution, and make sure you have on your most comfortable, non-slip shoes. 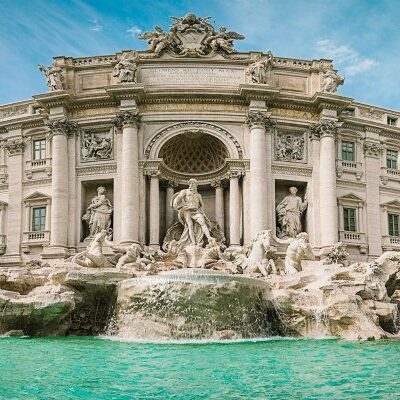 The sights you’ll see are worth it! Igreja de Santa Maria: a Renaissance church with blue and white azulejos tiles lining the interior. 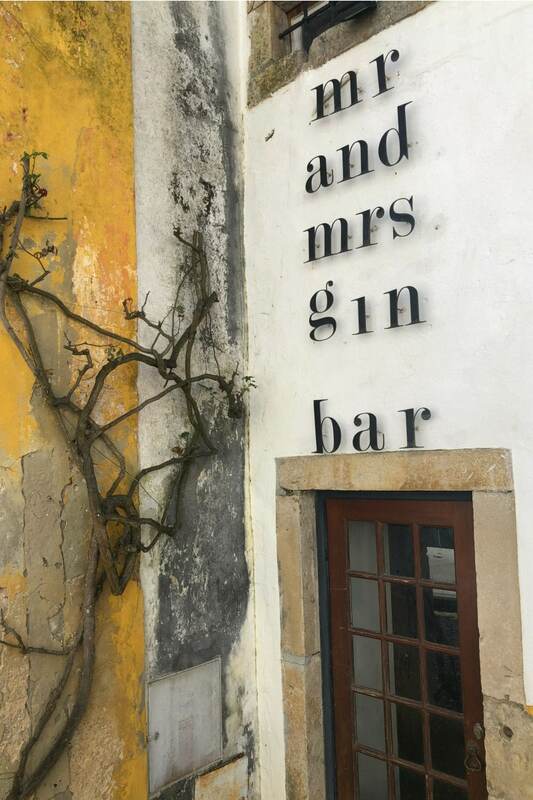 It was closed at the time we were visiting Óbidos. Admission is free when it’s open. 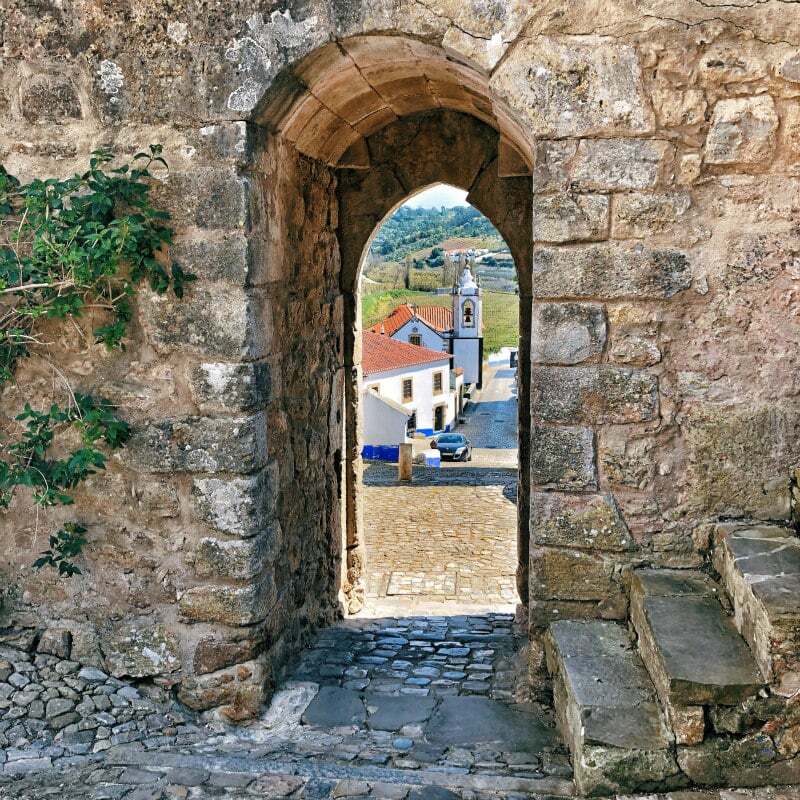 Porta da Vila: the main entrance to Óbidos (a much-photographed gate). 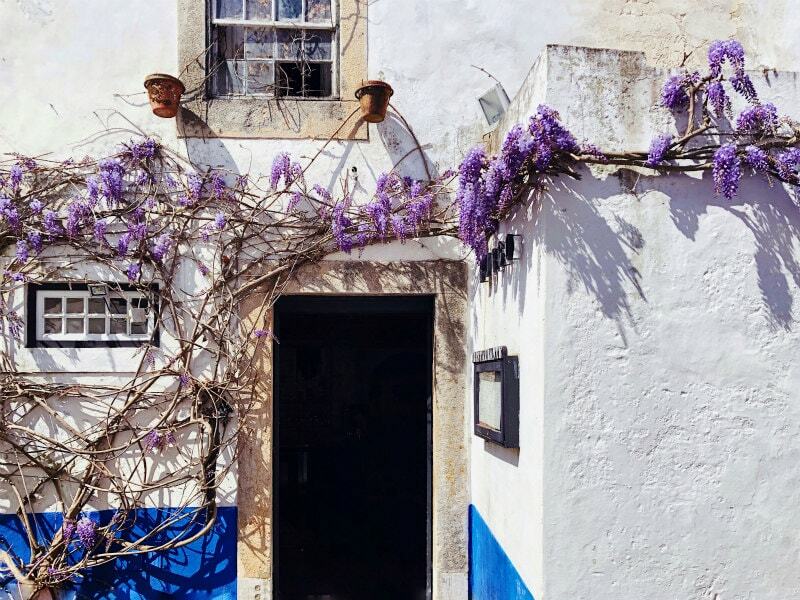 When you arrive in Óbidos, you’ll park in the parking lots outside of the village and walk through the gate into town. Buddha’s Eden: (6 miles south of Óbidos): We didn’t see this, but it’s the largest Asian garden in Europe– in the town of Bombarral. 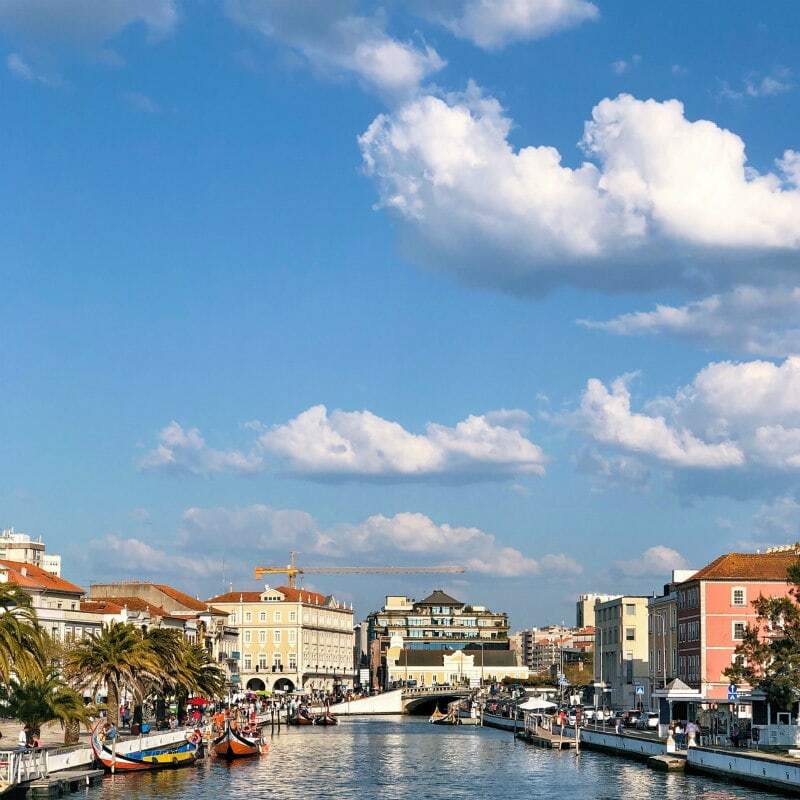 The next stop on our journey was in Aveiro (also known as the Venice of Portugal). 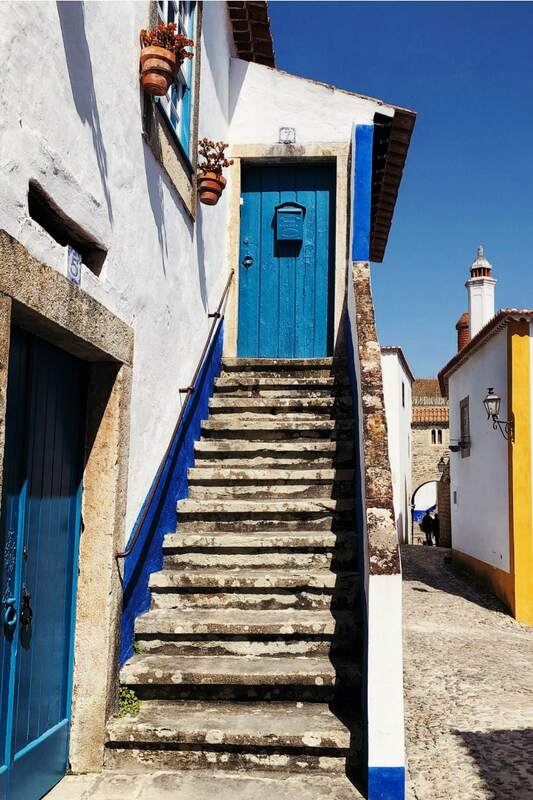 If you happen to be staying in Porto, you can take a day trip to Aveiro (about 45 minutes drive from Porto). It’s a tiny city with a lovely city square, where many festivals are held and the locals appear to gather. 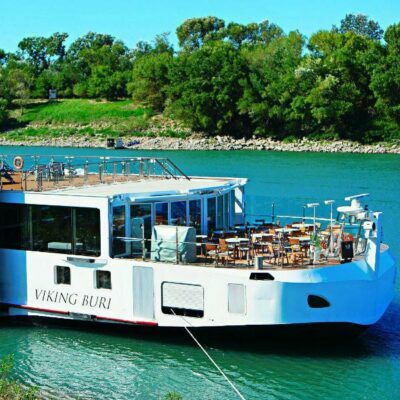 One of the most popular things to do is take a boat ride on a moliceiro (a colorful flat boat). After an overnight flight… and approaching the end of the day… we were too tired to take the boat ride. A food delicacy that is local to Aveiro is Ovos Moles (pastries made from rice paper filled with an egg yolk/sugar mixture. 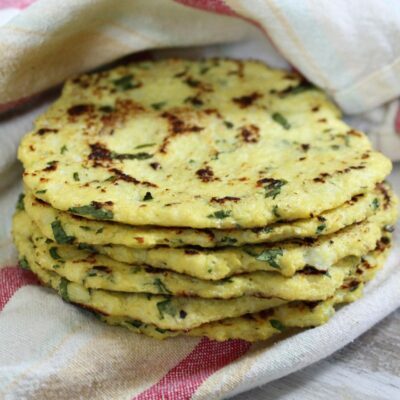 I wish I had a chance to try them, but we only learned about them after we had moved on. Next time! 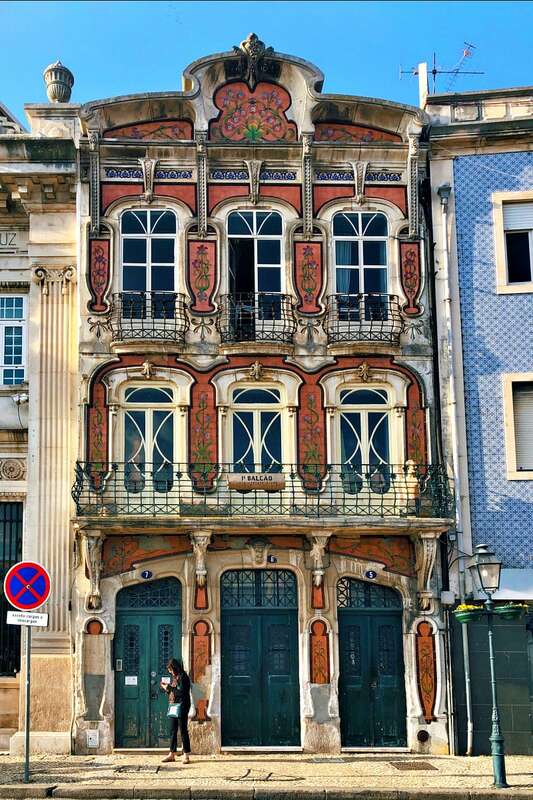 There are lots of tiled buildings in this city, as there are all over Portugal. 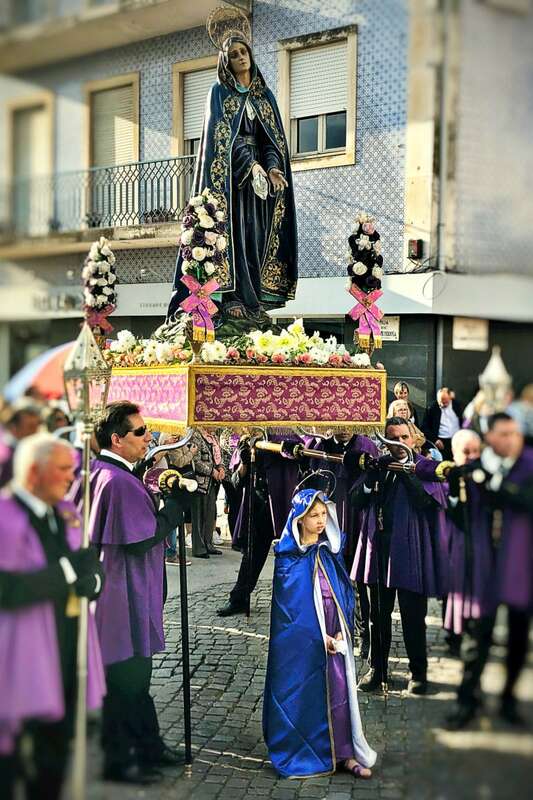 While we were visiting, there was a parade for the third Sunday of Lent. It seemed as though everyone in town was present for this celebration! 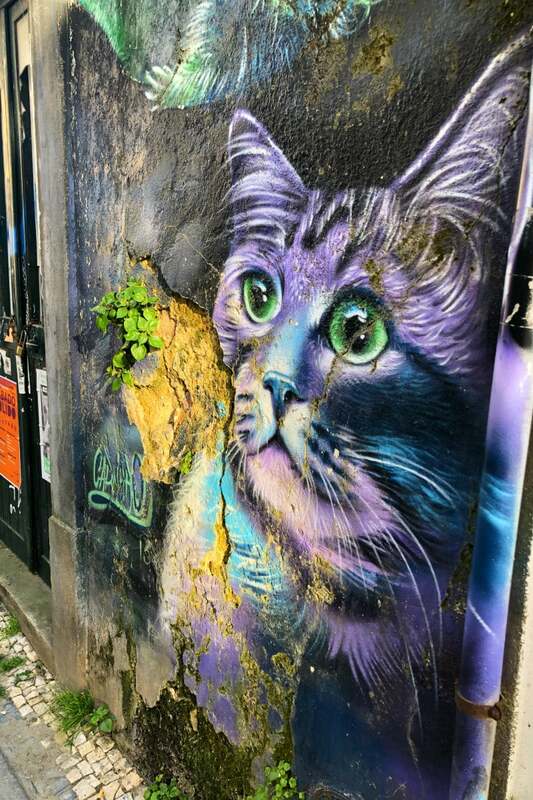 Painted wall art and graffiti is pretty common in alleyways all over Portugal. Some of it is pretty interesting and beautiful. We had a very short stop in Aveiro (maybe 30 minutes) as we were on our way to Porto. There isn’t a ton of stuff to see here, but we were glad for the stop. 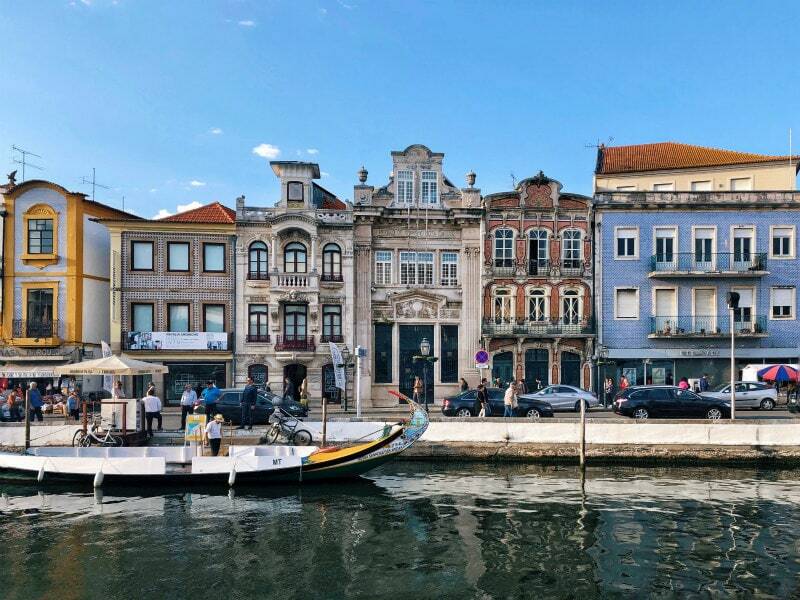 Aveiro is much different than other cities in Portugal because of the waterfront area. And it’s always fun to see as many sights as possible! My next post will be all about our next stop: Porto, Portugal (with a day trip to Braga). 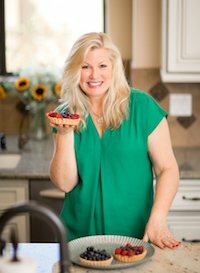 There is so much to share about this beautiful country! WHAT!! no Pastel de nata’s! Oh my gosh, we had plenty of those! This was only the first day. 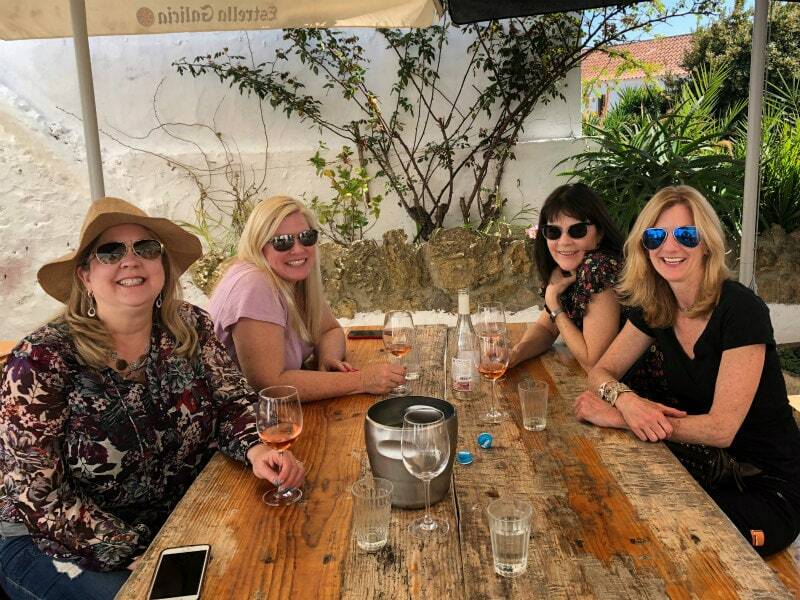 Much more sharing from our Portugal trip to come! Makes me long to be back in Portugal! Can you please write more on the food part. Would really love to know more about it. Definitely! This was only our first day of travel… so it only covered a lunch. Much more to come!